Who else wants the best bone conduction headphones for running, cycling, rock climbing, basketball, and swimming? Then sit back as we've handpicked the best bone conduction headphones as reviewed on Reddit, Amazon, and other reliable sources on the net. Whether you're living in Canada, the US or UK, you'll find the best buy online from reputable headphone manufacturers such as Aftershockz which can offer excellent audio quality. 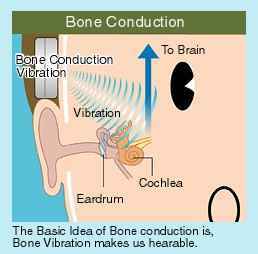 What is a Bone Conduction? Why Should You Buy a Bone Conduction Headphone? How Were These Headphones Selected? Sound can either be conducted through the human bone and through the air into the Cochlea (hearing organ). Bone conduction is the transmission of sound through the cheekbones directly into the inner ear before it is sent to the brain. The 18th-century German composer, Ludwig Van Beethoven who was hearing impaired often clenched his composer wand between his teeth and with one end of the wand touching the piano. This way, he was able to hear music through vibrations conducted by his bones into his inner ear. Bone conduction is the reason why your voice sounds different to you in your head compared to what others hear. The major difference between bone conduction and air conduction is their medium and path. 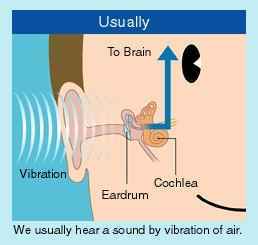 Also, sound or vibrations conducted through the bones tend to be deeper than ones that are conducted through the air. Bone conduction technology has widespread use in the Military, Medicine, Diving and several other areas, and now that includes home entertainment. This is made possible by implanting the Bone conduction device, BAHA (Bone Anchored Hearing Aid) into their skull. It is also used by people using hearing aids. Bone conduction headphones designed to sit behind-the-ear are used by military personnels for communication. These headphones can transmit information wirelessly and without blocking the ears, it allows them to be at alert and take note of any other sounds in their environment. The inability of these headphones to isolate sound can be an advantage in the battlefield. When it comes to audio entertainment, reputable headphone manufacturers have thought it wise to design bone conduction headphones for listening to music and answering calls. You'll find bone conduction headphones from makers like Aftershokz, Vidonni, Zerom, and several others. Not only limited to use on land, scuba divers who spend hours underwater were also one of the earliest users of the bone conduction headphone. Lately, there are weatherproof Bluetooth bone conduction headphones for divers. How Does a Bone Conduction Headphone Work? A bone conduction headphone has a transducer that transmits vibrations through the cheekbones to the Cochlea and then to the brain. This type of headphones must be in contact with the head in order to transmit sound waves that will be converted into electrical signals and sent to the brain. Since the eardrum is free, noise in the surrounding that is conducted by air can still be heard by the person. With conventional headphones, the sound is conducted by air and passes through the eardrum first before arriving at the brain. This shows the clear difference between normal headphones and bone conduction headphones in the manner in which sound is transferred to the brain. You've already gotten one of the best wireless headphones for watching TV and listening to music lying around your home and you're wondering, do I really need one of these? If that's the case, here are some benefits that'll answer your question as to why you should buy a new bone conduction headphone. Music can liven your mood when you're feeling sad, depressed, or lonely. It can be helpful to have your sound next to you while you're hiking, cycling, driving, or swimming. Although the quality of sound produced in Traditional headphones is better, due to their large sizes and build, they may not really be suitable for exercising. As a result, they may tend to pull off or exert pressure on your head while you exercise. Want something that fits, with built-in control buttons, and feels comfortable as you run or jog? The sound produced by a bone conduction headphone is not as loud as that from a normal headphone. Also, your ears are not covered as is the case of on-ear or over-ear headphones. They are not noise-canceling headphones. For these reasons, you can carry out your outdoor and indoor activities and still be aware of what's happening in your environment thereby averting any potential danger. If you don't want a headphone that fully immerses you in the music and makes you turn a deaf ear to others around you, then this type of headphone may be just what you need. In some US states like Colorado and Illinois, headphones or earpiece covering both ears are not permitted especially while driving and as such, it is considered illegal. That being the case, these headphones will be a better alternative. If you're a lover of loud music and bass headphones, at some point you would've felt your eardrums begin to hurt. What about a small ringing sound in your head? So it doesn't get to that point, a bone conduction headphone which has duller sound compared to the superb sound quality of your normal headphone ensures that you hear music in a controlled volume which can prevent either of these from happening. It is loud enough to block out the sound of the wind when you run, cycle, or drive. If you're hearing impaired, you'll need a wireless bone conduction headphone that can transmit sound directly to your inner ear so that you can hear the music. This may not be possible with traditional headphones since the sound waves must pass through several paths (outer ear, ear canal, eardrum, and middle ear) before reaching your inner ear. It just makes it harder to hear irrespective of the volume of your current headphone. Since these headphones have a therapeutic effect, they can make for the best gift for the elderly. Let's proceed to the part where we show you the best bone conduction headphones for athletes, music lovers, and hearing-impaired people. Now that you've finally decided to settle on a bone conduction headphone, we understand how difficult it can be to make a decision among several choices. They all look flashy, hold a promise of offering you the best entertainment, and you may even be swayed by the words of the manufacturer. Our list of the best bone conduction headphones for music will ensure that you pick one whose level of performance is on par with its price. The Trekz Air wireless bone conduction headphone (AS650CR) is just one among several headsets designed by the Chinese company, AfterShokz. Unarguably, they are the best brand out there when it comes to bone conduction headphones. Having made bone conduction headphones for the Chinese Armed Forces, these guys know their stuff. So, what's with the Trekz Air? As a bone conduction headphone, it transmits vibration from the headphone through your cheekbones and into your inner ear which sends the sound to your brain. When it comes to design, its light weight makes it suitable for athletes and its color options of forest green, slate grey, and midnight blue allows you to choose the device in your most preferred color. The Trekz air has an IP55 rating which means it is sweatproof and can resist water spills. You can run for miles and not have sweat tamper with its functionality. In terms of connectivity, it makes use of Bluetooth v4.2 at an operational range of 33 ft. This wireless connection ensures that you don't have tangling cables to deal with and your source device can be a few distances from you without losing connectivity. You can easily connect your Android or iOS smartphone, Tablet, Mac or PC ( or multiple Bluetooth enabled devices) to it and enjoy some music while at the same time being conscious of what's happening around you. There's no noise reduction technology to isolate sound as is the case of some wireless headphones, which poses less danger while you cross, drive, or cycle. Nevertheless, if you'll like to improve the sound quality, you can plug its earplugs into your ears. This a rechargeable wireless bone conduction headphone whose Lithium-ion battery promises up to 6 hours of music play time and 20 days of standby time after a single charge. 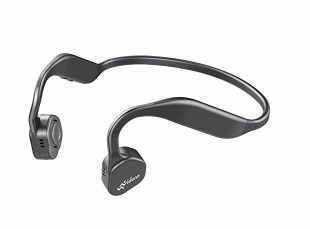 Vidonn F1 Titanium headset also makes the top of this list and would be most appreciated by people looking for the best affordable bone conduction headphone under $100. This is an Open-ear wireless headphone that is placed on the cheekbone to conduct sound waves into the inner ears. You can listen to music with it and also answer calls just by connecting via Bluetooth to your iPhone, iPad, PC, Mac, Tablet, or any other Bluetooth enabled device. If you'll rather separate the sound in your environment from the music or you're in a really noisy place, then you'll find a pair of noise-proof earplugs you can block your ears with. Vidonn F1's build material of Titanium alloy & TPU makes it durable, flexible and comfortable, and its lightweight of 38g will allow you to use it for hours without feeling pressure on your cheeks. Powered by a 180mAh lithium polymer battery, a 2-hour charge can provide up to 6 hours of music play time and up to 7 days of standby time. In that regards, you can run with it for miles knowing that it won't run down anytime soon. To protect it from water, this headphone has an IP55 rating. But then, it is not advisable to take it for a swim since it can only withstand sweat and water sprinkles from the rain. The AfterShokz Trekz Titanium is quite popular on Amazon. 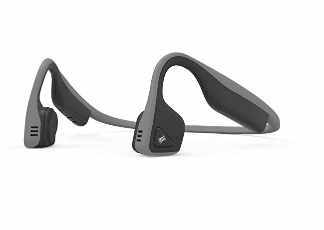 At about $99.50, it is less expensive than its successor, the Trekz Air and as such, if you are looking for a wireless bone conduction headphone under $100, this would be a great pick. If you want something with even a lesser price, there's always the Aftershokz Bluez 2S to go for. This OpenFit headphone's Titanium build with a silicone coating on its neckband will ensure that it stands the test of time. It makes it flexible while being handled and able to withstand the impact of accidental falls. Its color options include ocean blue, green, red, pink, and slate grey so you get to choose one that is in your favorite color or close to it. This headphone can connect Wirelessly to a smartphone, PC, Mac, and several other devices via Bluetooth within a range of 33 ft (10m) and you can also pair more than one device to it at a time. In terms of battery life, you get about 6 hours of music play and call time as well as 10 days of standby time after a single charge of its lithium-ion battery. Like the Aftershokz Trekz air, this variant is also waterproof and dustproof given its IP55 rating. You can use it under the rain and sweat profusely without damaging the device. According to Aftershokz, this device also comes with a LeakSlayer technology that significantly reduces sound leakage in a bid to enhance sound quality. Alternatively, they do not isolate background noise. 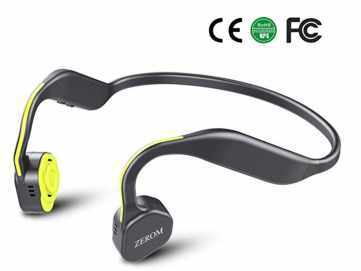 Zerom bone conduction headphone is the same price range as the Vidonn headphone. For about $69.90, you can get this wireless headset that connects via Bluetooth to receive audio data from a Smartphone, PC, or other Bluetooth enabled devices. It has a Titanium build that gives it strength/durability and an IP55 rating that makes it resistant to sweat, dust and some amount of water. Asides listening to music with it, you can connect it to your Android or iPhone to make and receive calls thanks to its built-in mic. The transmission range between the headphone and your audio source is 33 ft and as such, the signal strength will be stable with your device distant apart. This 180 mAh battery with longtime support can keep the headphone powered while you go cycling, running, or jogging. Even though it has an open ear design where you are still on alert to your surrounding, it also comes with an anti-sound leakage technology to ensure you get good audio quality. You might want to try the Oannao headphone if you want the best cheap bone conduction headphone out there because this guy is worth less than 50 bucks. You can use it alongside you hearing aid or buy it for an elderly person with hearing impairment. Its build is not one of its perks since it's made of plastic that is less durable compared to a Titanium alloy and people who wear glasses may find it a bit uncomfortable. Unlike the aforelisted, it isn't sweatproof so you might want to use it with great care. Other than these downsides, the features outlined below makes up for it as well as its cheap price. Like the aforelisted headphones, this one is also connected wirelessly to an audio source via Bluetooth and you can connect multiple devices to the headphone at the same time. At a range of 33feet between your connecting devices, you can connect wireless with this headphone. Having an IP55 rating, it is sweatproof and resistant to spills, thus you can use it conveniently outdoors even under the rain, but definitely not go swimming with it. With this headphone, you get a 260mAH battery which can provide up to 5 hours of music play and call time as well as 10 days of standby time. This can be attained after a 1.8-hour charge. While most bone conduction headphones do not isolate background noise, it can be helpful to know that the one you're using has noise-proof earplugs for your to block out the noise occasionally. This is because you could be at the train station or other noisy environments and the need may arise. One of the major reasons for buying a bone conduction headphone is because they are suitable for running, jogging, hiking and many other outdoor activities. In each of these, you'll tend to sweat a lot and may even have water spills on the headphone. In line with that, it will be comforting to know that your headset is waterproof, hence most of our chosen headsets have an IP rating that is acceptable for a headphone of this nature. The battery life of any tech gadget is of the essence becomes it determines how long you get to enjoy it. It'll be totally useless to buy a bone conduction headphone that didn't have a long battery life and by a long battery life, we mean one that can support at least 5 hours of talk time or music play time before there is the need to recharge. Thus, most of our selected devices have a 6 hour battery life as well as a fast charge to ensure your headphone is fully charged in no time. Irrespective of the specifications of the bone conduction headphone, we realize that at the end of the day, what matters is its real-life operation. With this in mind, we also used the reviews and recommendations of verified buyers on Amazon to ascertain the level of quality of each headphone. Their limitations and capabilities were then compared with other headphones in the same price range to see which is better. 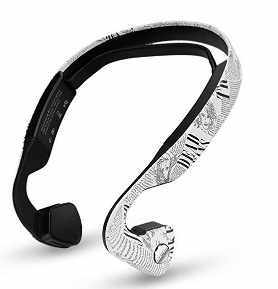 Whether you have normal hearing or you are hearing impaired, you can make use of a bone conduction headphone. Instead of running around the street with a traditional headphone booming in your head, you can exercise caution by using one of these instead. Like don't drink and drive, the same could almost be said for don't block your ears and drive, run, cycle, or cross the road. Do you want to stay safe? And do you want a headphone won't take a chunk out of your wallet while still giving you your money's worth? 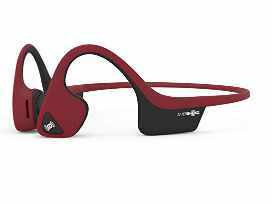 Then take the next step and buy one of these ear bone conduction headphones for sports.